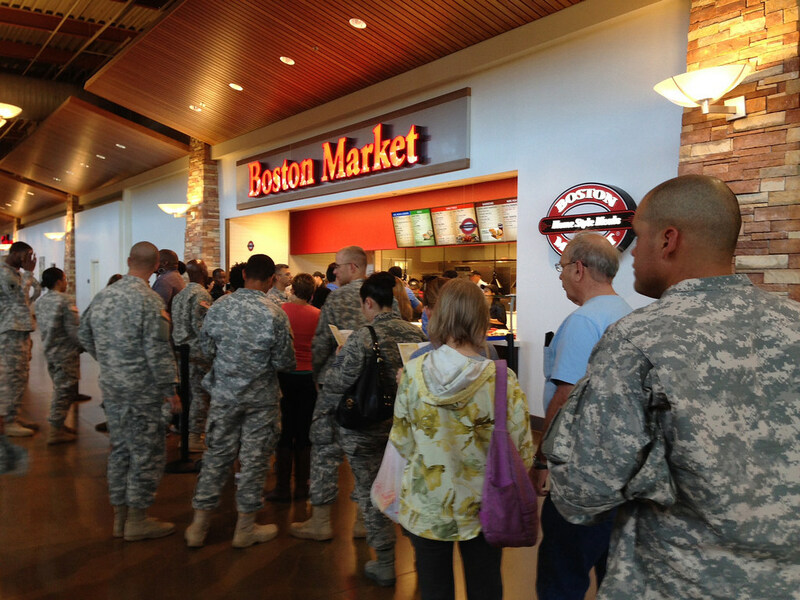 DALLAS – The first Boston Market restaurant located on a military installation had its official grand opening Oct. 10 at the Army & Air Force Exchange Service’s Freedom Crossing at Fort Bliss, Texas. Originally founded as Boston Chicken in 1985 in Newtonville, Mass., today’s Boston Market has more than 450 locations nationwide featuring all-natural, never frozen signature rotisserie chicken and home-style sides. Boston Market’s menu also has a health-conscious side to it, offering more than 100 different meal combinations totaling 550 calories or less to support today’s healthy lifestyle. The Exchange has plans to open additional Boston Market restaurants at Fort Meade, Md., and Fort Hood, Texas, in the next six months. For more information or to schedule an interview with an Exchange representative, please contact Sgt. 1st Class Aaron Eastman at 214-312-2132 or eastmanag@aafes.com. This entry was posted on Tuesday, October 14th, 2014 at 12:59	and is filed under Press Release. You can follow any responses to this entry through the RSS 2.0 feed.